When you make a significant purchase, you want to do everything you can to find an attractive offer. This is definitely the case when you shop for a new vehicle. You won’t spend much more money on anything than you will on a vehicle, so it’s important to take advantage of Nissan incentives near Metairie, LA, when you find them. Keep these in mind so you don’t miss out. If you’re a resident near Metairie, LA, you may be in for a big surprise when you shop for a new vehicle. Dealerships in the area offer cash-back incentives to help you get into the model you want. You may get up to 2,000 to put toward a new purchase. This offer is not valid for leases. One of the most popular Nissan incentives is the U.S. Military Program. Nissan management recognizes the sacrifice and commitment military personnel and their families make in defending their country. Those customers who currently serve in the U.S. Army, Air Force, Marines, Navy, or Coast Guard, or serve in the National Guard, may get $500 toward a new purchase. Retired or inactive personnel and their families may be eligible as well. You’ll have to present proof of military status at the dealership to take advantage of this offer. You must also currently reside in the United States. Finishing a college degree is a tremendous accomplishment and requires hard work and commitment. Nissan dealerships near Metairie, LA, want to reward you for your achievement. In conjunction with the Military Incentive, the College Graduation Incentive will give you $500 toward a new purchase (leases are not eligible). You must be no more than two years out of school with a two- or four-year degree from an accredited U.S. institution. Those who are graduates from nursing school or graduate school are also eligible. You may also take advantage of this incentive if you will graduate within the next six months. If you currently lease a Nissan vehicle, you may be eligible to waive up to two remaining lease payments in addition to a lease disposition fee. No previous ownership is required with this incentive. Check with the dealer about any residency requirements with this offer. It’s always nice to find a way to keep more of your hard-earned money. With Nissan incentives near Metairie, LA, you can get into the vehicle you need at a price you’ll love. 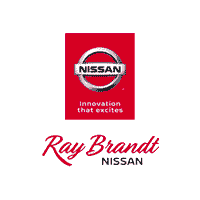 Stop by Ray Brandt Nissan to find out more.